I hope you are looking for the best SEO tips for Blogger, and you have come to the right place. Did you know that there are Search Robots Present over the Internet that helps to rank your post very much? Ya, you heard it right. If you do the correct Settings of the Custom Robots Header Tags Setting in your Blogger then you will be able to rank your post. First of all, what is Search Robots? Search Robots keep track on our Webpage and the updates that we made to our Website and notifies the Search Engine about the changes to our Webpage like Google, Bing etc. In this post, I will write detailed things about Custom Robots Header Tags in Blogger and How to set up. 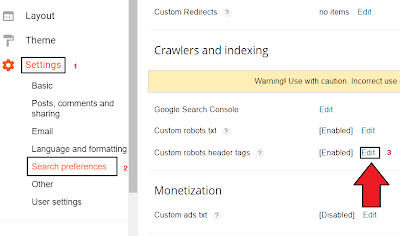 Being a Blogger User you must enable the Custom Robots Header Tags Button to maximize the Search Engine Visibility to your Blog. But, before that let me tell you the Tags that are used in Robots Header. 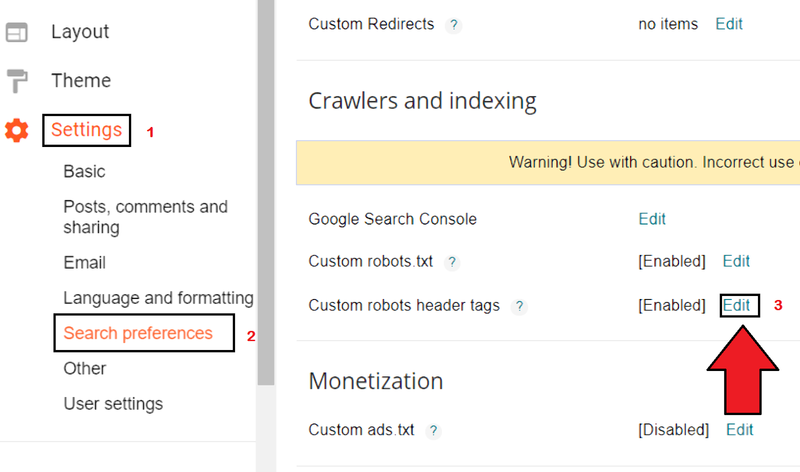 1. all: If you enable this tag, crawlers can freely crawl, index a page and expose your Content. They will be out of bounds. 2. noindex: Many blogs are not built for Public notice. Even if you don't share the URL of your personal blog with anybody there will be a chance of people coming to your website through Search results. If you don't want to index a page to the search engines then you can enable this tag. 3. nofollow: Nofollow and Dofollow tags are for outbound links. Dofollow is the default robot tag for all your outbound links. That means the search engines can sneak upon the pages you linked to. 4. noarchive: You might have seen a notice like this " Google has captured a copy of your site into their server to display in case it goes down". The noarchive tag turns off cached version in search pages. 5. none: none combines both the features of noindex and nofollow tags. 6. nosnippet: The text snippet in the search results help people to understand what's in the site. If you don't want to show that you can turn it on. 7. noodp: Open Directory Project or Dmoz is a man-made directory of websites. Google use the info from there sometimes. You can turn it off with this tag if you want to. 8. notranslate: If you want to disable translation on your site then set this tag on. 9. noimageindex: If you allow Google to index your images, people may steal it and use on their own websites. To prevent that, you can set the tag. 10. unavailable_after: The webpage will be deindexed after the time that you have set. How to set up Custom Robots Header Tags? Step1: Go to Blogger and sign in to it and choose the blog in which you want to modify the Tags. Step3: You will see an option named as "Custom Robots Header Tags". You will see an EDIT option. Click on that. Step4: Click on "yes" then save changes. Step5: Tick as directed in the image below to get the best results. I share my own thinking and knowledge about SEO, Blogging Tips, so please support me and help me to grow my website. 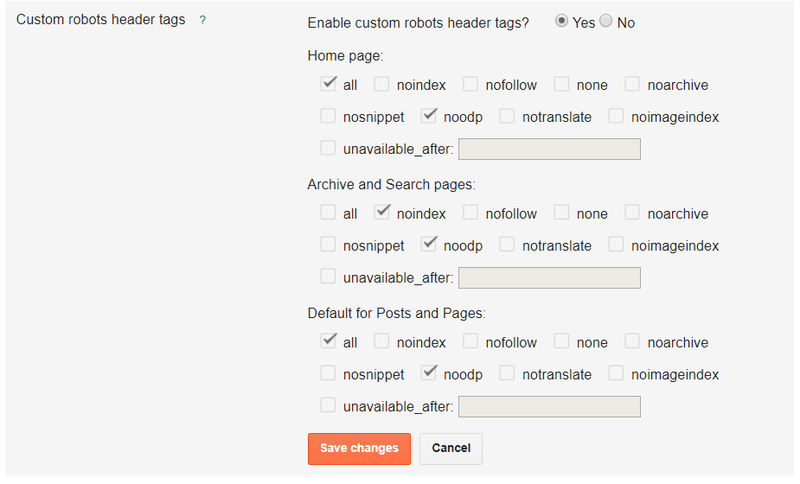 And you can also change the Custom Robots Header Tags from New Blog post page. Change that from default to all and noodp.